Shep Gordon: Talent manager for rock stars, Hollywood agent, film producer, and New York Times bestselling author, Shep Gordon is also credited with creating the celebrity chef category. The subject of an award-winning Mike Myers documentary film, Supermensch, he penned his own memoir, They Call Me Supermensch, in 2016. Jacques Pépin: A former columnist for The New York Times, his articles have appeared in countless food magazines. Chef Pépin’s awards include France’s highest civilian honor, La Legion d’Honneur; 16 James Beard Foundation Awards, including the Life-time Achievement Award; and an Emmy Award for his PBS series with Julia Child. The evening will begin with a lavish menu of hors d’oeuvre prepared by guest chefs, many of whom are CIA alumni, followed by a sit down dinner. There will also be an online auction, to open for bidding two weeks prior to the gala, to raise additional scholarship funds. More than two dozen current CIA students—from the associate and bachelor’s programs—will also be on hand to assist the event chefs and add their personal thank-you’s to all in attendance. A not-for-profit institution, the CIA is accredited by the Middle States Commission on Higher Education, the same organization that accredits universities like Princeton and Columbia. More than 90 percent of the CIA student body depends on some type of financial aid, and the Leadership Awards is its largest annual fundraising program. 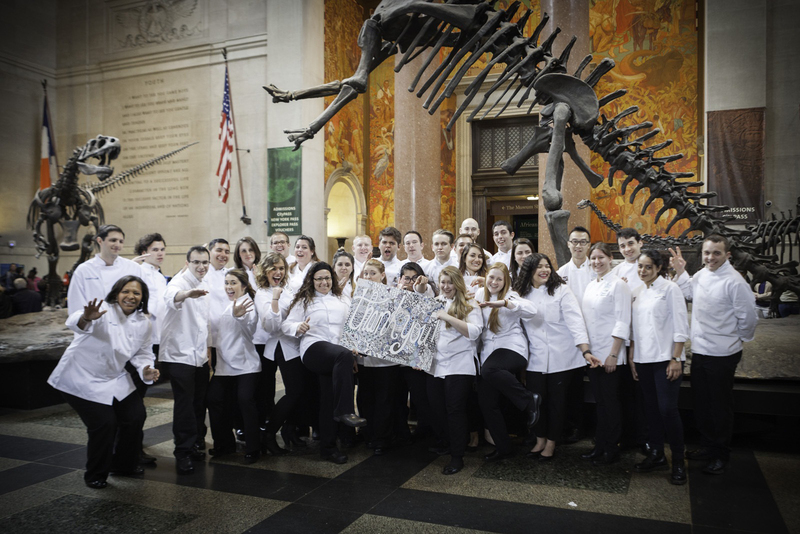 The college relies on alliances with the private and public sectors to achieve its goal of excellence and to maintain its reputation as the world’s premier culinary college.